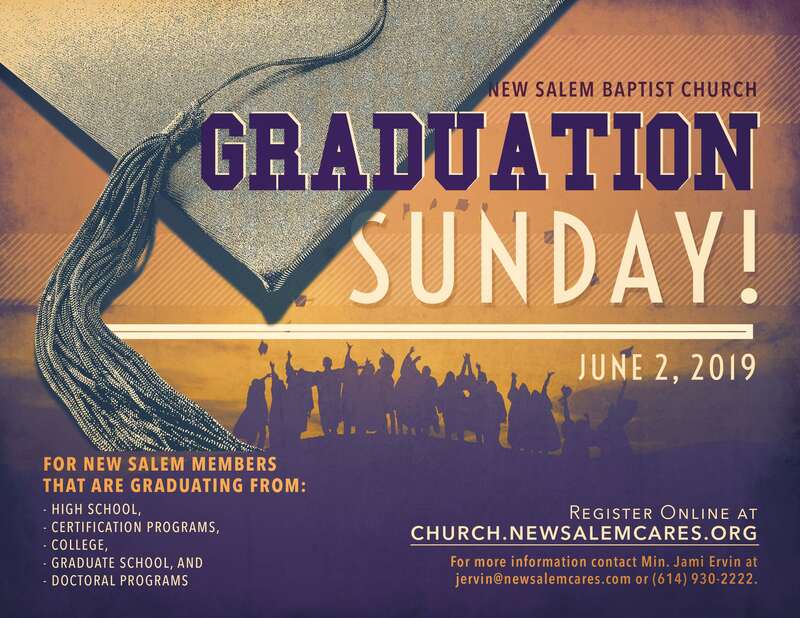 Please join us in celebrating our high school, college and graduate school students that are graduating this spring or summer! Please note: REGISTRATION CLOSES ON MAY 19TH! Please contact Min. Jami Ervin, jervin@newsalemcares.com or (614) 930-2222 with any questions you may have. Arrive by 9:30 am for sign-in and take pictures. Breakfast will be offered by Elijah Café at the regular cost. Wear your graduation gown for the group pictures and the ceremony, if you have it. Pick up your Graduation Photo, immediately following the service.